The newest offering from Real Time Gaming at Slots of Vegas, Fantasy Mission Force sends players back to the world of 1980s action movies. This adventure-filled game is the namesake of the 80s cult classic Fantasy Mission Force, starring none other than the martial arts legend Jackie Chan himself. The film features a dangerous wartime rescue mission with the promise of an abundant reward. Fantasy Mission Force is specially designed to ensure that you win as many free games as possible! When the Dynamite Free Games feature is triggered, prizes are TRIPLED. The Dynamite feature can also add a Bickford Fuse to certain symbols. Keep an eye out for this because it can lead you to another cool aspect of the game, the Kaboom! Feature. When 3 or more Bickford Fuses appear, they trigger up to 3 extra free games for each fuse. This slot game offers a jackpot that’s linked with other games, as well as a whopping top prize of 50,000 times the bet per line. Check out this exciting game to try out these features yourself! Sign up now with a $50 deposit and receive a 250% Bonus and 50 Free Spins. Simply use the coupon KUNGFUCOMMANDO, and you’ll be well on your way to a growing pile of riches. 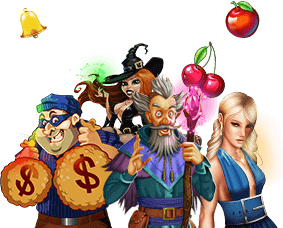 Fantasy Mission Force is a 5-reel, 20-variable payline online slot, which gives you plenty of chances to win free games and prizes on every turn. You can change the paylines from 1-20. The coin size is also adjustable, allowing you to customize the bet size to suit your bankroll. Fantasy Mission Force is designed to accommodate both penny slot enthusiasts and those who like to spend a little bit more on each spin of the reels. A 5-reel title with 20 paylines makes it possible to keep the wagers for the game low or go high if your bankroll allows. The Autoplay feature is convenient and easy to use; just set a bet level, determine how many spins you want to play, and enjoy watching as your prizes and free games continue to increase. Substitute Symbol: WILD x 2 WILDs appear on reels 2, 3, 4, 5 only. Substitutes count for everything except scatter symbols./p> Scatter Symbol: Scatter Scatter symbol pays regardless of position. The Dynamite Free Games feature is triggered when you get a scatter on reel 1 combined with a WILD on reel 5. That leads to 7 free games with prizes tripled. It also adds the Bickford Fuse to some symbols, and if you get 3 or more, it triggers the Kaboom! Feature. This leads to 3 extra free games per fuse symbol.